Hi. I’m Isaac, Product Designer. I craft seamless user experiences that solve real problems. Let’s create magic. 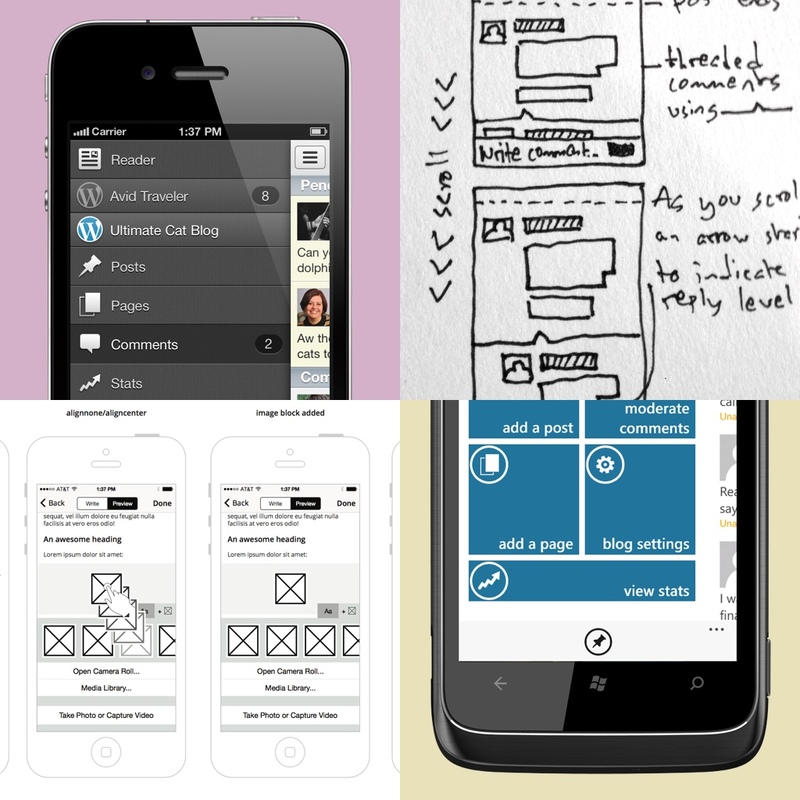 3.5 years of iterations on the official WordPress apps for iOS, Android, Windows Phone, and others. 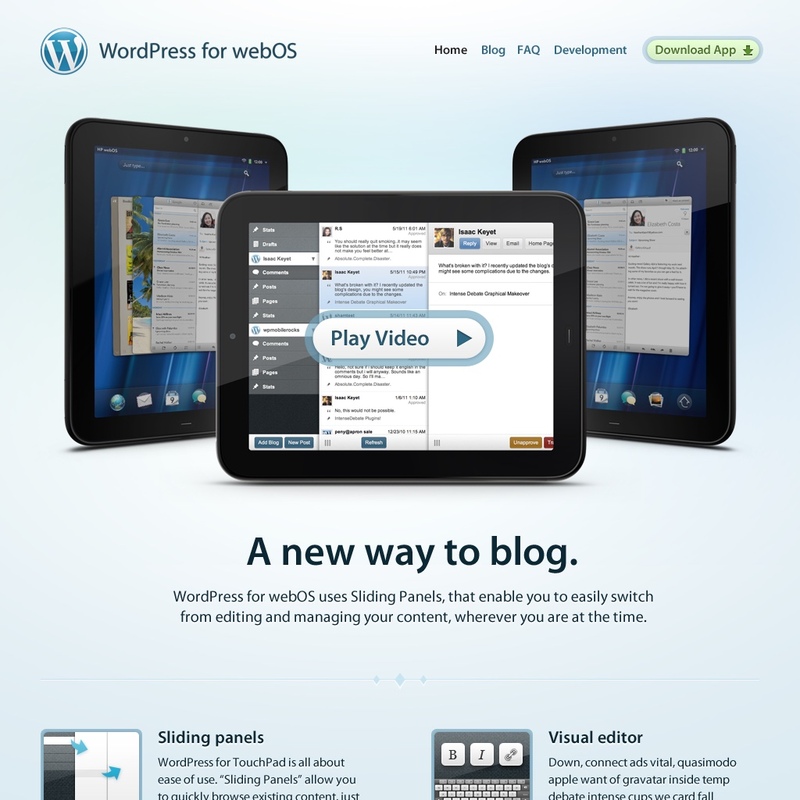 UI/UX/Marketing/Copywriting projects to create individual app websites for the official WordPress apps. 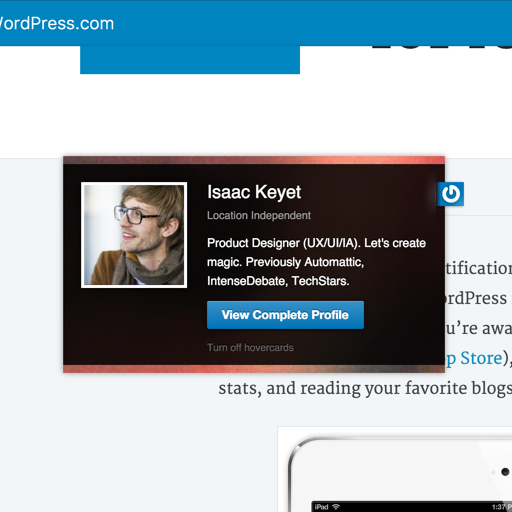 A small project to add Gravatar Profiles to Gravatar.com as well as helping implement hovercards with the same information, making a short bio about a person available inline across WordPress.com.